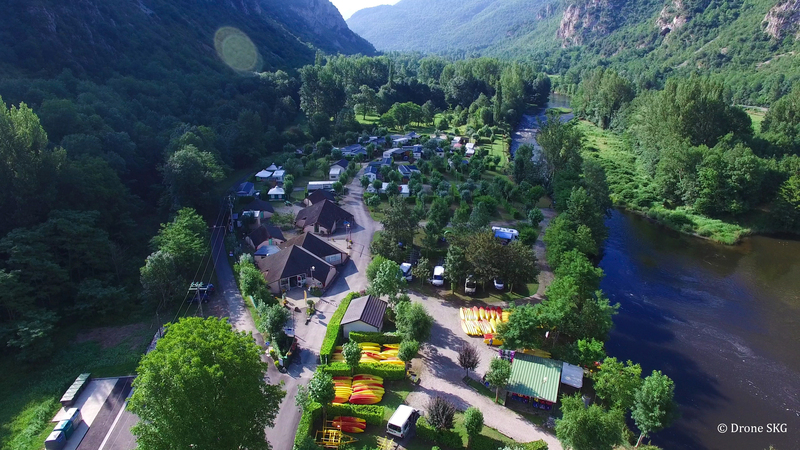 On a plot of 3 hectares, mountainside and offers 78 sites for tents, caravans and mobilhomes, the rental of chalets 4 places and tents for 4 persons.The team stay at your disposition. Perfect to relaxing, on the banks of an Ariège watercourse and its wild waters, next to the mountains, An authentic region and wild nature at the Pyrenees’s heart. – 5 furnished tent “Bengali” for 4 person. You could enter in our campsite by a magnetic card. Recently built bathroom facilities. Washing machine. Snack bar (July and August). We offer you with sports activities every day. Just enjoy your time, come and revitalise yourself in the direct vicinity of the Ussat les Bains spa resort, 10 minutes’ walk away (900m). THERAPY : 10% reduction for 21-night stays ! A 4 km from Tarascon sur Ariège (supermarket and train station). 40 minutes from the ski resort Goulier Snow. 2 hours from the sea.